It almost seems as if it is impossible for Justin Bieber to stay out of trouble with only 14 days completed here in 2014. Although Bieber has not actually been taken into custody by state officials, a felony search warrant was granted to police following an incident between Justin and his next door neighbors. According to TMZ, damages from the eggs are estimated at $20,000, which even includes getting the house replastered with the original Venetian plaster that was damaged. All it takes is $400 to classify such crime as a felony. 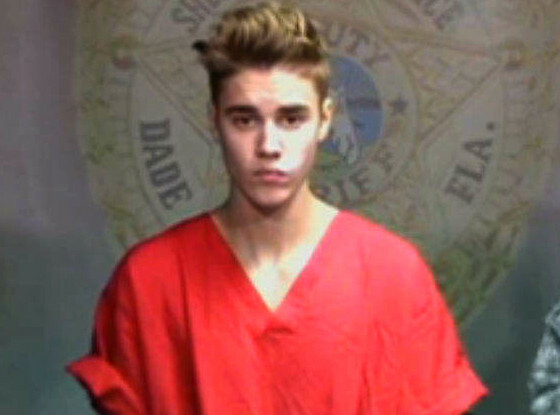 If Bieber is found guilty, he could face possible jail time. In order to find the pop singer guilty, the L.A. police department was granted a felony search warrant in order to find any evidence, including eggs, that would assist locking Bieber up. During the search, which took place on Jan. 14, 2014, a bag of open cocaine* was found, according to Lt. David Thompson. Thompson is referring to “Lil Za”, a friend of the Biebs who been staying at his house. Lil Za, 20, also known as Xavier Smith (left) , was arrested Tuesday, Jan. 14 under possession charges. The story gets even worse while Smith was waiting for his $20,000 bail to be posted for his release. Smith damaged the “one-call” jail phone, getting himself rearrested, and his bail going from $20,000 to $70,000. He must have known Bieber was going to get him out of there. Was that $50,000 meltdown really worth it? The L.A. police department has made it very clear that Bieber has caused issues in his neighborhood on multiple occasions however their lack of evidence failed their attempts at teaching Bieber a lesson once after all. I’m sure there is no getting out of this one, Bieber. *UPDATE: The drug found in Bieber’s home was tested Tuesday night after the press conference. Lab test determined the drug was a mixture of Xanax and Ecstasy, according to Lt. Thompson.